As I would like to note that Hungary was a member of the Axis powers to the bitter end when the Soviets overran their capital and even after the fall of Budapest, some Hungarian units served alongside the Germans until V-E Day. Romania was a Axis power until August 1944 before changing to the Allies after their king led a successful coup against the Facist Party and Finland was a member of the Axis until September 1944 when it signed a armistice with the Soviets and forced out the Germans in the Lapland War. So Hungary should be a Axis country while Romania, Finland, and Bulgaria should be located on the Independent side with the United States. I would like the german equipment to have the hidden gray paint as default. Making the camo scheme optional. Or an easier way to choose gray. Please keep in mind this thread is but a list only, its not meant for discussions, or asking questions. only a few people like, if you like it and want it then list it, and i will add it to the list accordingly. Also when posting requests, give me at least 1-2 days to add your requests to the list on the first post. The transition for this is very slow, I suggest a change in its function and binoc type to the ones a regular officer uses, as its smoother and quicker. you have to manually rebolt after each shot you make. the death animations in the game are top notch i love them, thing is though when a soldier dies, they die in slow motion, i would like to see this sped up to a realistic level where it would indicate some form of gravity ingame, considering bullets do drop i would also assume that the animations can use the same function as a bullet in a sense or calculation where the body would fall based on where, how, and with what it was hit by, I think this would add to the games immersion tremendously. We can see the bullet shells being ejects but i think it would add to the game if we could actually see the bullet casings on the ground. The way this addon works is there is a limited amount of shells you can set, for example if you set the coding for lets say 100 shells limit then existing shells will start deleting based on the first shell dropped, so the first round you shot would be deleted and up as new shells get added basically maintaining the limit. Or the shell feature can be done like red orchestr which has the same function as the addon above but it has a real small limit, like 20 shells or something, but you can create a small pile of shells, and they would delete within like 5 sec of them landing. Also lasty after rebolting and then having to reload a new clip when you pull the bolt back a shell ejects. and delete after a long period of time. I think this can really add to the immersion and details to the game. List updated and added to the Features part on bottom of list. I come back with my idea of "little" textures : would it be possible to change the models of the German and soviets soldiers, in order to display (or not) " little images " on their uniform and helmet ? You can see an example here and here with the helmet and the images on the left arm. We could change independently the insignia of the ranks on the collar of the uniform (Warrant Officers, Non Commissioned Officers or Enlisted Men), on the shoulders or on the arm (Infanterie, Panzerwaffe & Sturmgeschützwaffe and Luftwaffe) and add an Armelbänd if wanted (as this). 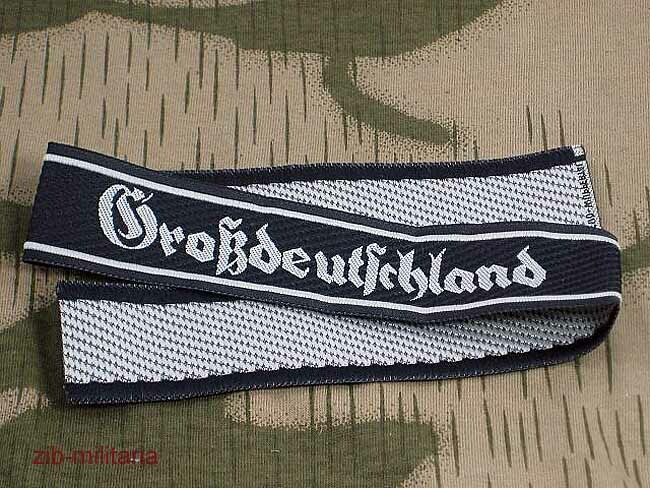 The same thing could be done for the helmet, allowing to add or not the insignia of Gerrmany, Luftwaffe, etc. With this method, i can change very easily the badge of the unit, the rank and the helmet of the US soldiers, without changing the uniform. We have made US missions with my Team with this "method" where each player had his self helmet and his self insignia rank, but with the same badge : the 101st Airborne. It would be good to have it for the Germans and Russians : it would make files .paa less bigger in Mo. If it would be possible, the separation between the top of the uniform (jacket) and bottom (pants and shoes) would allow a lot of possibilities of variations in the uniforms, without having files too big in Mo. It would be possible if the pants was taken as an image which could be added upon the pants of the original uniform. Various civilians would be nice. List updated, added last 2 post requests. I would like a module (so that it can be used by choice) where there was anims for realistic damage/injuries to units. I have always thought it to be a bit unrealistic how AI keep tuning after taking a 7.62 mm etc to the arm, leg or shoulder etc. A module like this would of course only affect AI. List updated. All gameplay features, functions type stuff will be listed at the bottom under gameplay. I would like to add, that we need a fighter-version of the FW190, that is some A-variant. Right now we only have the groundattack version F.
This may not be a good idea, because it may offend some, but I would like some Jewish prisoners and maybe some buildings designed like the camps. It would be a little more of a darker side of a mission, to liberate a camp like that. Just a thought. I hope, that I can play the game for some years ! It`s great and fantastic for panzermanias ! 1. please review the wishlist on pg 1 to make sure something hasn't been already asked for or requested. 2. when you request something provide a link to a reference or resource for info about what your requesting. This may not be a good idea, because it may offend some, but I would like some Jewish prisoners and maybe some buildings designed like the camps. It would be a little more of a darker side of a mission, to liberate a camp like that. Just a thought. in using the content ingame. As always discretion is advised. Please no replies other then requests, again this is not a discussion, I just wanted to make a point, if you wish to discuss then post in the general section.